This issue grew out of our desire to thank Heinrich C. Mayr for his various contributions to the scientific community. Thus, we dedicate this collection of inspiring articles a great boss, teacher, colleague and last but not least friend. His contributions have been celebrated at the UNISCON 2008 on occasion of his 60th birthday, in an official ceremony at the Alpen-Adria Universität Klagenfurt on occasion of his 65th birthday where he received the Golden Medal of the city of Klagenfurt, and at the INFORMATIK 2016 on occasion of his transition to emeritus status. 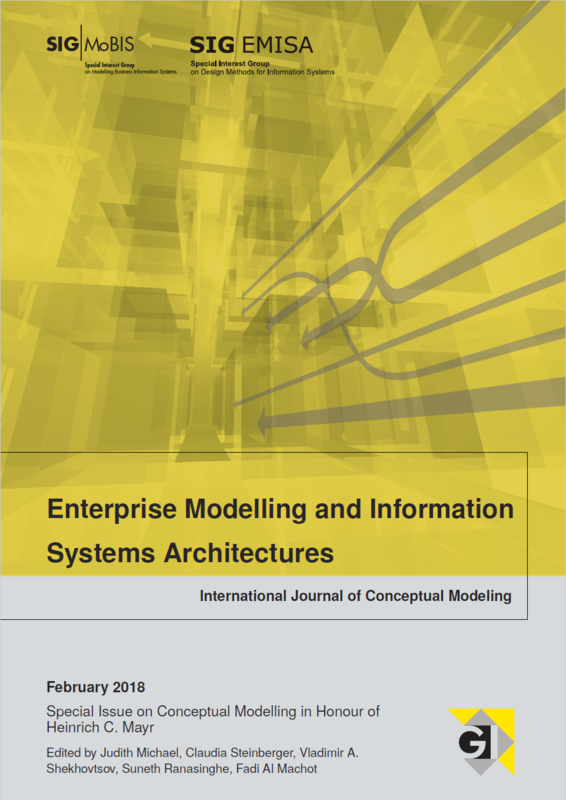 All articles in this issue are related to conceptual modelling, an increasingly important topic in informatics and a main research area of Heinrich C. Mayr. As the ability of modelling is one of the fundamental cognitive skills of human beings and a method used in various domains up to and including our private life. Clearly, also conceptual modelling is used in a large variety of fields and the number of application areas is still growing.